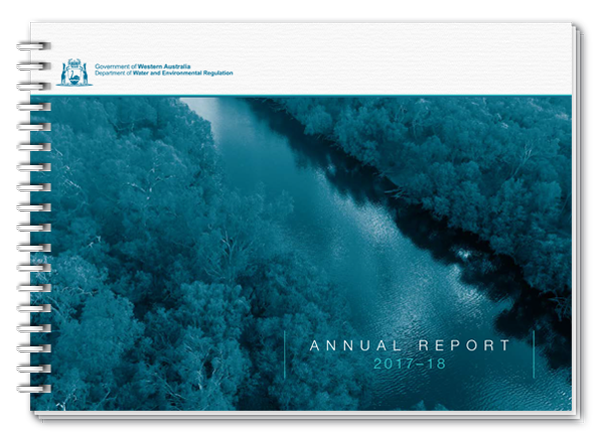 Welcome to the Department of Water and Environmental Regulation’s Annual report 2017–18. This report reflects our first year of operation following the amalgamation of the former Department of Environmental Regulation, Office of the Environmental Protection Authority and Department of Water. This year we embarked on a five-year strategic plan to further ensure the state’s water resources and environment are healthy and able to support our growing state. We also focused on building our relationships with industry and the community to discuss priorities and discover where we can work better and more efficiently. We also supported the Waste Authority, Environmental Protection Authority, Keep Australia Beautiful Council and Cockburn Sound Management Council in their key roles.